One of the best things about being an Air Force Reservist in the Airmen and Family Readiness Office is that we get to do good things and meet neat people. I built up a relationship with Chris over at Cars4Heroes.org over the past couple of years. 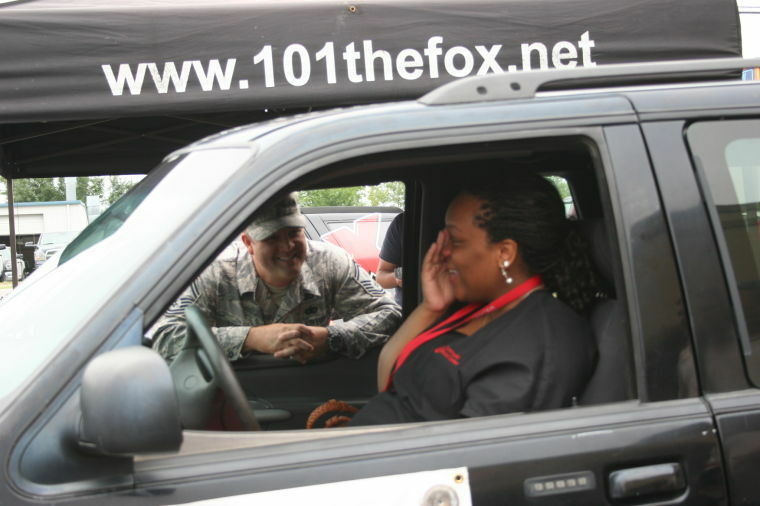 This is an amazing organization that gives individuals associated with the military that are in need the opportunity to receive transportation for free. All they have to do is apply. The other day, I got a call from Chris asking if there was anyone at Whiteman AFB in the need of a car. I sent out an email to everyone I knew that would know of an Airmen. Unfortunately, nobody had anyone they could think of, so I told Chris that nothing was turning up. Until our UTA weekend. That’s when one of our unit members came up and mentioned a fellow Airmen that worked for him. She was beyond the perfect candidate, so I had her meet me in my office, showed her the application and she sat down and applied. It couldn’t have been better timing on everyone’s part, because she was in need right at that moment. Her car had broken down and she had been borrowing her father’s to get to work, but he was going to start needing it again.